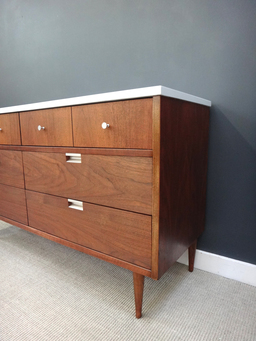 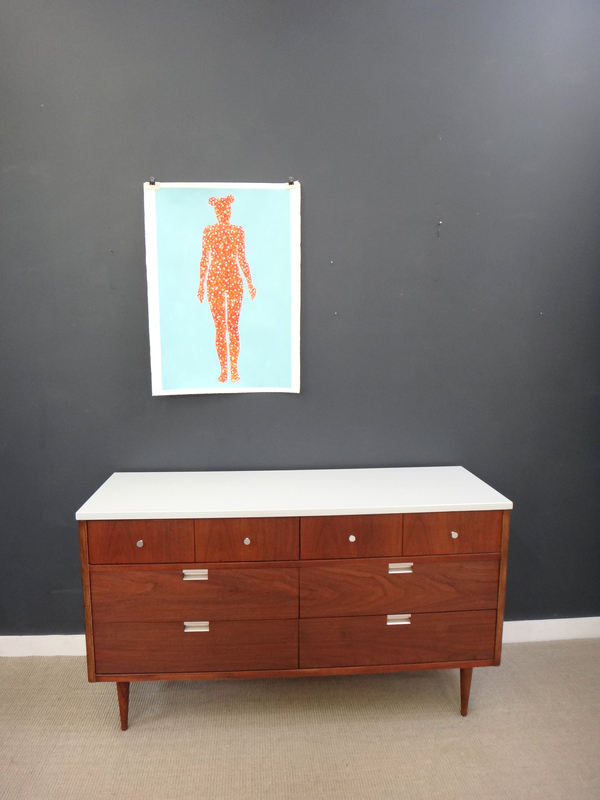 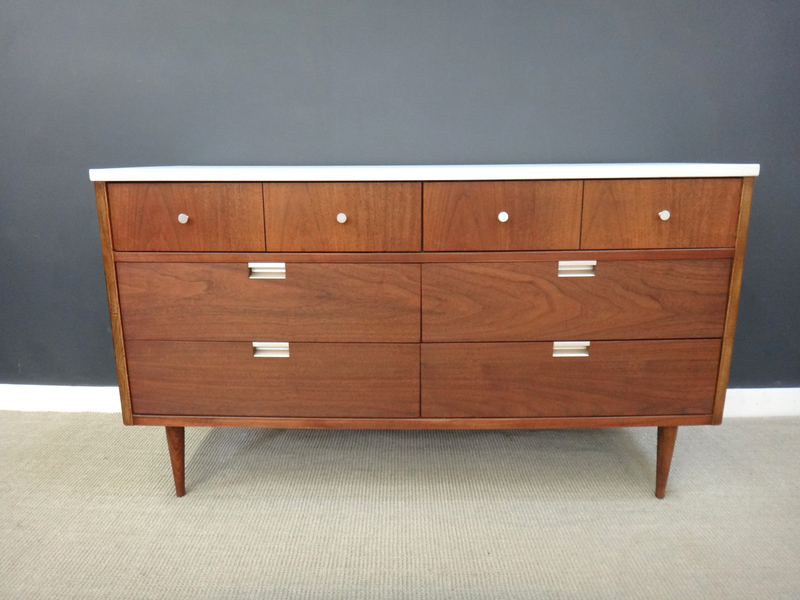 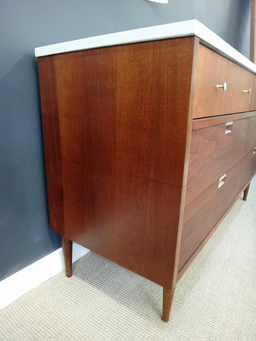 This petit mid century dresser by Bassett features dark walnut with contrasting pale gray painted top. Original inset aluminum drawer handles and dovetail drawer construction. In excellent condition. 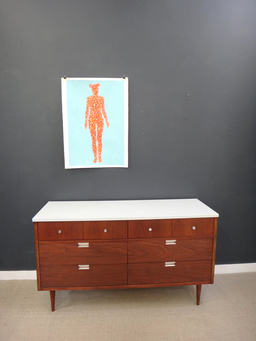 Great size for apartment living. 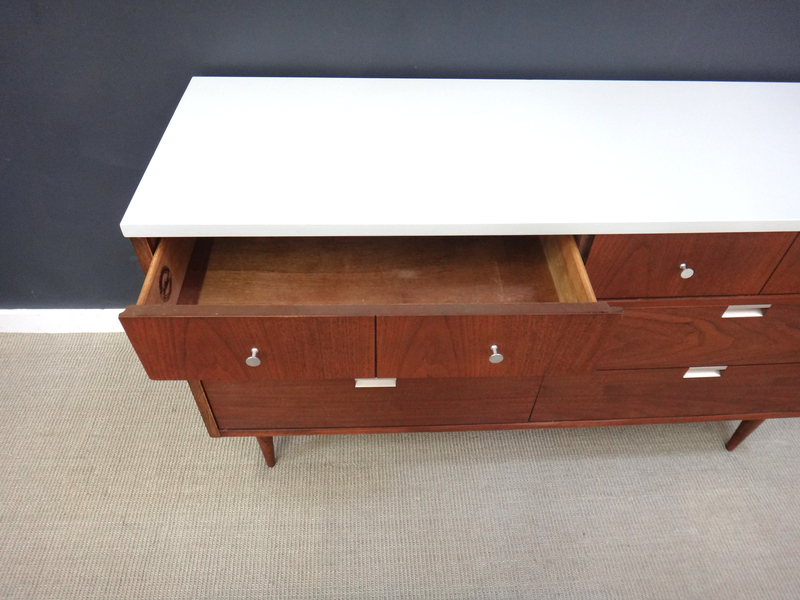 Would also make a great TV stand.